In 1960, the original Nevada Ready Mix, a Nevada Corporation, was founded as a family owned business. In 1988, the assets of the original Nevada Ready mix were sold to a newly-formed company, the current Nevada Ready Mix Corporation, a Delaware Corporation, owned by MCC Development Corporation. Nevada Ready Mix Corporation acquired the assets of Las Vegas Building Materials and the Lone Mountain Gravel Pit in 1989. 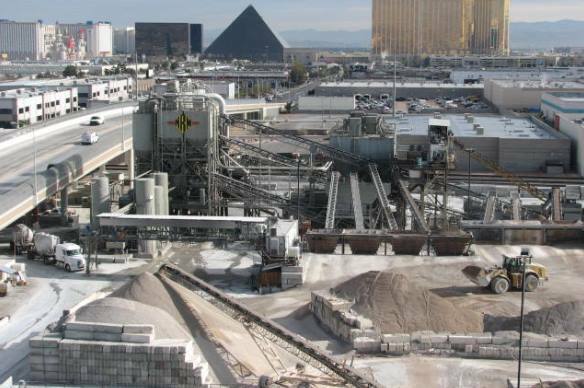 These two operations were combined with Nevada Ready Mix Corporation, creating the largest supplier of concrete and concrete aggregate in the State of Nevada. Today, Nevada Ready Mix Corporation is still number 1. We have a large staff of dedicated professionals who are committed to providing the highest quality and the best possible service in the business. We currently operate a substantial fleet of trucks and multiple batch plants in and around the Las Vegas metropolitan area.